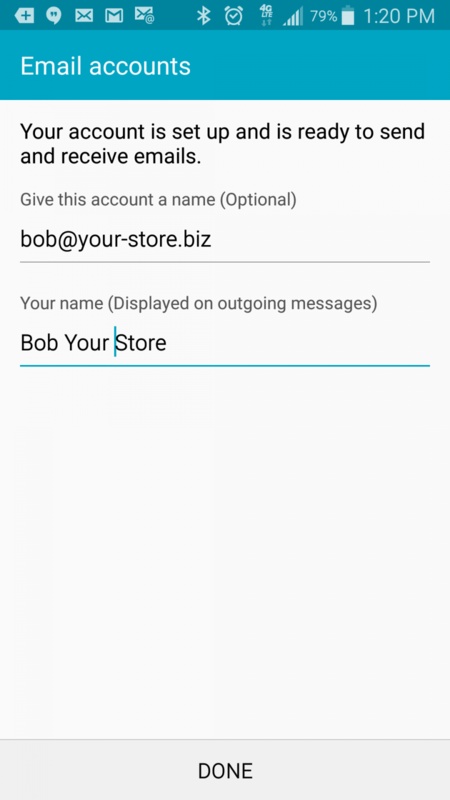 In the steps below we will use bob@your-store.biz as an example email account. Use your actual domain name in place of your-store.biz , your actual email address, and the actual user that corresponds to it. 1. 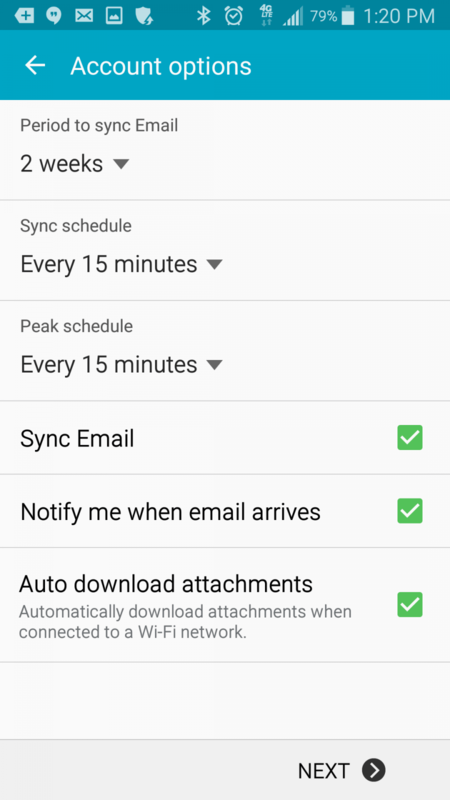 Click on the Email icon from your app list. 3. Below where it says “Enter sign-in details”, enter in your email address and password. If you click to “Show Password” you will more easily be able to see what you are typing. 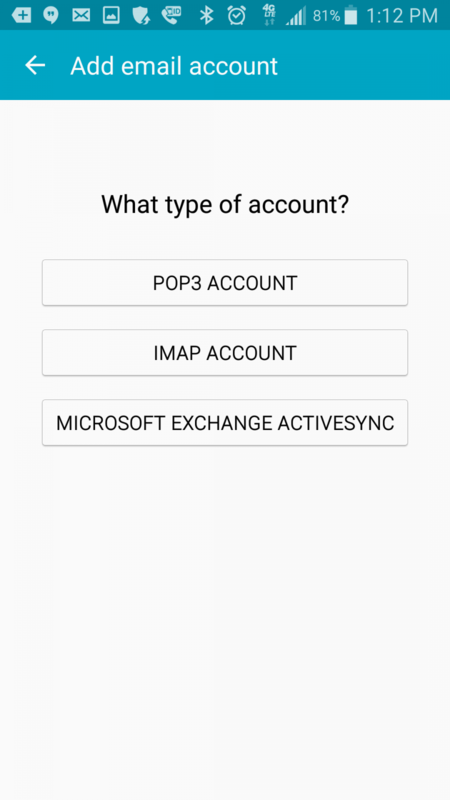 a. fill in your username and password. 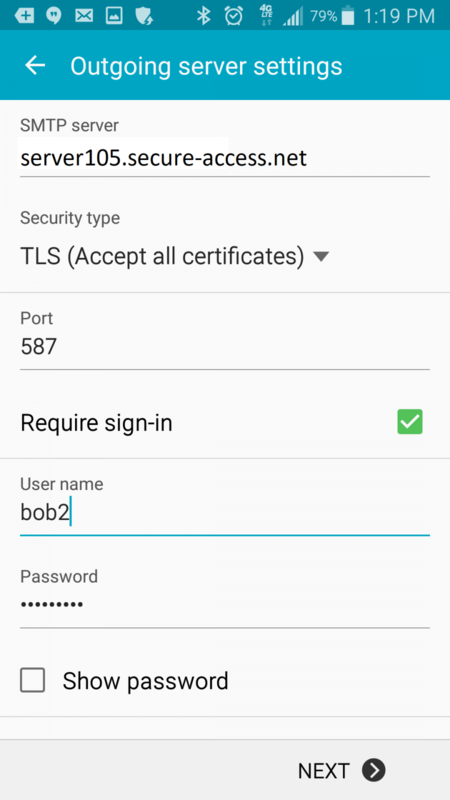 Note that your username is not (for example) bob@your-store.biz it is just in this case bob2 (“bob2″is the actual username showing in the siteadmin). 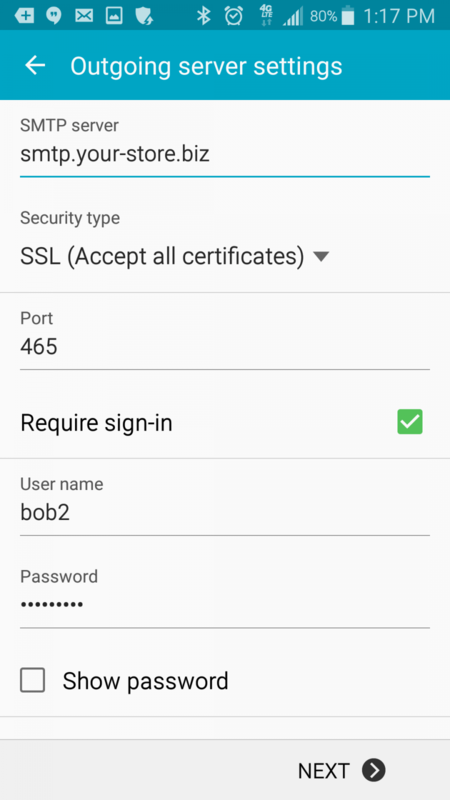 c. Set the SSL option to “SSL (Accept all certificates)”, this will normally automatically set the port to 993 which is correct. 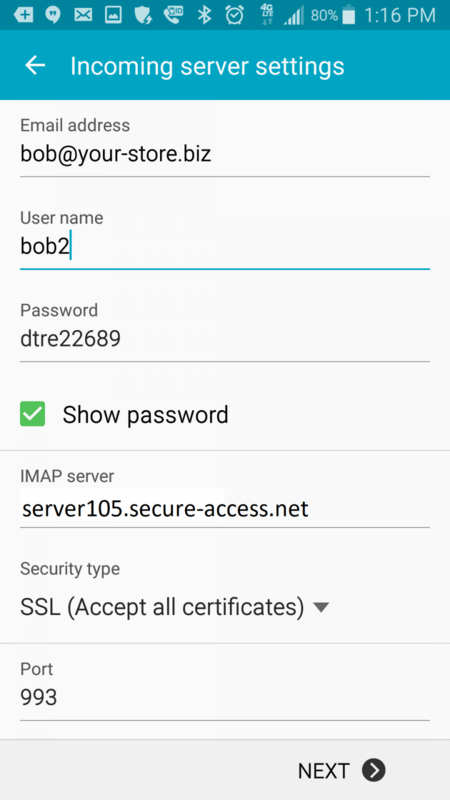 d. Leave IMAP path prefix blank. a. 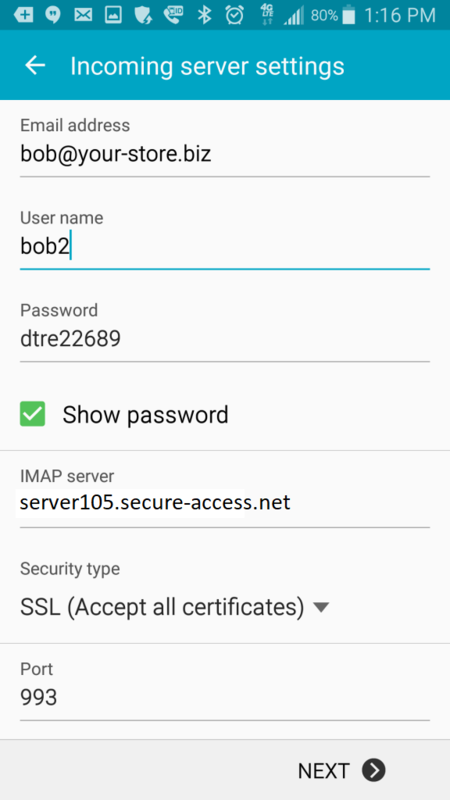 The default outgoing server it will probably show is smtp.your-store.biz That will work as is. d. “Require Sign-in” should be selected. e. Check your username and password.